On this day in history, February 9, 1996, an IRA bomb exploded in the London Docklands, near South Quay station. The bomb killed 2, injured 39 and marked an end to a 17 month cease fire. On February 9th, 1996 at six o'clock in the evening, the IRA announced they would be ending the cease fire that had lasted 17 months. One hour later, at two minutes past seven in the evening, a lorry with a half-tonne bomb exploded in the London's Docklands, just feet from the South Quay DLR station. There was a warning that had been called in to the police, so most of the buildings had been evacuated. However, 2 men working in a news shop had not left, and Inam Bashir and John Jeffries were later found dead in the rubble. 39 people required hospitalization for injuries related to the blast, mostly from falling glass from the nearby buildings. 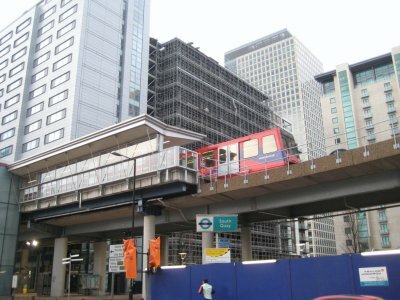 The Midland Bank building, South Quay Plaza I and II took significant damage, as did the DLR station and tracks. 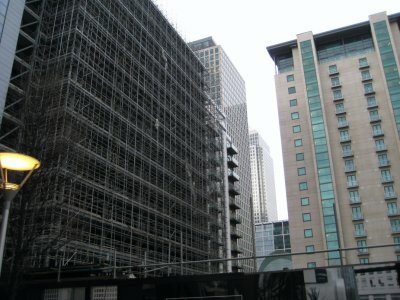 While most of the buildings have been repaired, part of South Quay Plaza still to this day sits derelict. All told, the damage cost more than £150 million pounds. 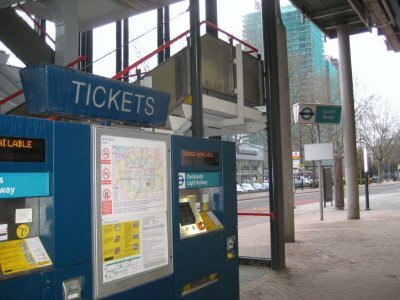 South Quay station and the DLR was reopened again by mid-April, despite the bomb exploding under the blast site. Despite the reopening of hostilities, the peace process continued, slowly, finally ending with the July 2005 IRA's proclamation to pursue a united Ireland solely through peacefully means and the decommissioning of all their weapons, and the 2007 ending of Operation Banner, the British Army's operation in Northern Ireland. 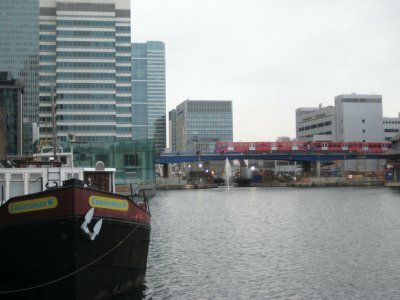 The current South Quay station will soon shut, replaced by a newer, larger station positioned over the water a few hundred feet down the tracks, though the name will remain South Quay.